Dont be left in the dark! Hook up to our new UL Listed EZ-Connect transfer switch and get the most out of your portable generator. 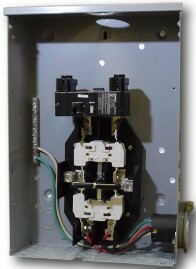 This full 200-amp manual tansfer switch will help your portable generator power your home during a power outage. While your neighbors have to wait in the dark you will be able to sit comfortably while the utility power is restored. Call us today and ask about our EZ-Connect transfer switch and the options for use with your portable generator. 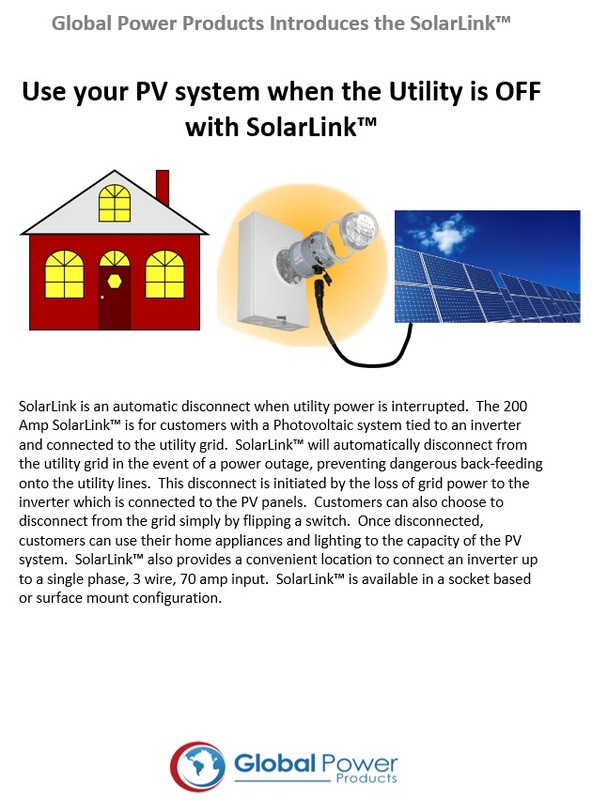 In the event of a power loss, let your home come to life with a 200-amp SolarLink. 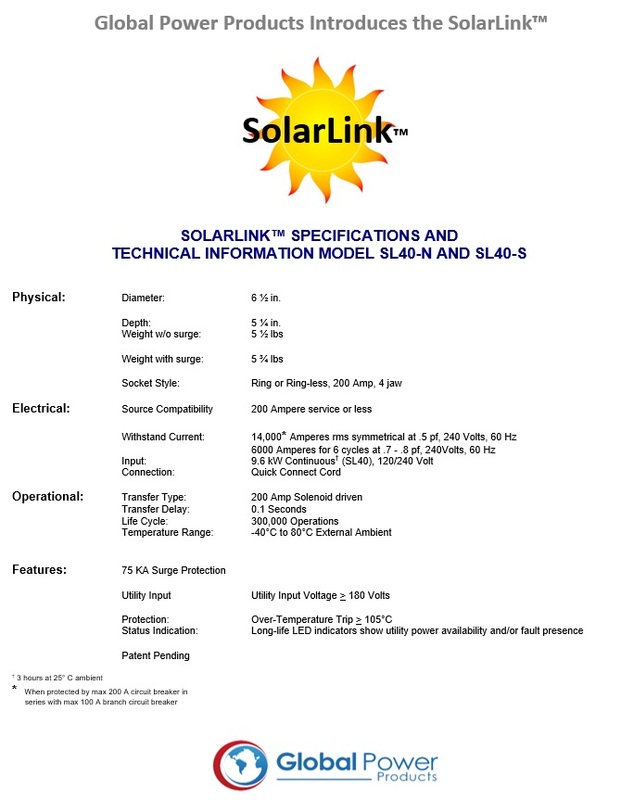 The SolarLink will automatically disconnect the home from the utility grid as soon as it detects a power outage. Now homeowners can use their solar power photovoltaic system during a power outage. When the power company is overwhelmed by peak demands, avoid blackouts with the 200 amp GridLok. The GridLok allows you to disconnect from the utility grid remotely. This switch uses an existing radio network or an LTE module and is available in a socket-based or surface-mount configuration.